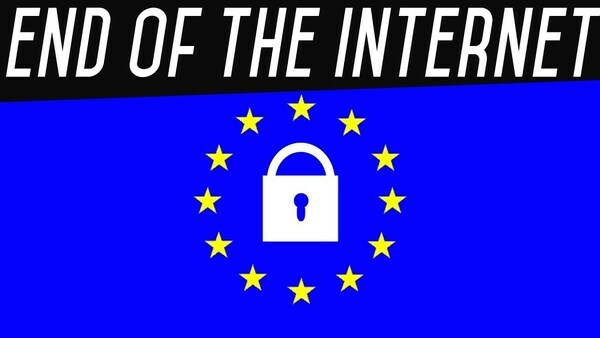 Just the latest mass censorship effort on the internet, aligning with what is now happening to youtube alternative Brighteon as we'll explore more below, we find it quite interesting that EU member states have been given two years to pass their own laws to put Article 13 into effect. Just the latest 'extension' that aligns perfectly with how long the UK believes it may take to get out of the EU while also aligning with the 2020 US Presidential election and the next presidency to begin in January of 2021, with these 'events' also helping to show that the 'political games' being played are on a 'global chessboard'. 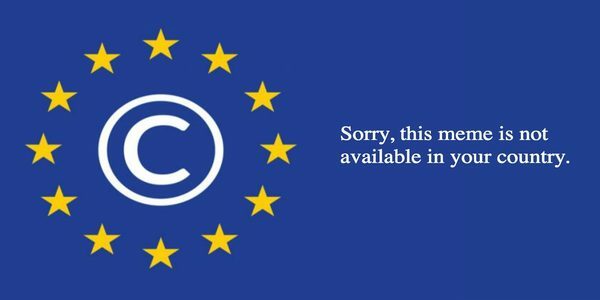 Tuesday’s move will update the EU's 20-year-old copyright rules and will govern audiovisual content, much to the dismay of many social media users who have already begun outpouring their grief online. Julia Reda, a German MEP with the Pirate Party, described it as a “dark day for internet freedom." With us now having been shown a two-year window for the globalists to attempt to regain control with all globalists eyes set to 2020/2021 and Draconian online censorship one of the 'vehicles' which they'll be using, we have to take a look here at what is now happening to Mike Adams website 'Brighteon' following a massive crackdown upon them by the nations of New Zealand and Australia after his youtube alternative was used by numerous people to upload videos of the 'New Zealand event'. As we had reported in this March 23rd ANP story, New Zealand's rapid descent into something resembling an Islamic State should be looked at as a huge warning to Americans and just as we had warned in that story, massive censorship soon followed thereafter all across the internet, with Adams' 'Brighteon' taking a huge hit as he shared in this Natural News story. Following the Christchurch shootings in New Zealand, the governments of both New Zealand and Australia attempted to annihilate Brighteon by threatening our upstream providers, claiming our hosting of the shooting videos constituted "promotion of violence." All videos will now be moderated before being approved for public viewing. We apologize in advance that this may introduce a few minutes' delay into the time required for your video to go live. We are rejecting all videos that "visually depict violence against living beings," meaning videos that contain graphic footage showing people or animals being harmed or killed. Notably, this rule does not, for example, restrict videos of firearms shooting steel targets, or firearms used in self-defense training. We are rejecting all videos that call for violence against anyone based on their religion, skin color, country of origin, sexual orientation, etc. Actually, this rule has been in place for quite some time. You may feel free to CRITICIZE anyone you want, and you may post commentary about mass shootings. You may even use still images from the shootings as long as those still images do not depict active violence against living beings. You may not, however, show actual video footage of people being shot. What is happening to Adams and Brighteon are clearly a warning of the way that the globalists will take this in the future as they try to gain back what they have lost and as we'll see in this next section below, with the EU passing Article 13, there's a very good reason for the globalists to want to ban 'memes', for they are dominating in 'information warfare'. Why are the globalists so eager to ban something as seemingly menial as 'the meme'? As this January 31st of 2017 story over at Vice's Motherboard reports, "memes function like the IED's of information warfare". Called 'natural tools of the insurgency' by the Motherboard story, they also report why the globalists are so petrified of such seemingly menial tools. And knowing that 'memes' are so 'destructive' to globalism, we urge their use in full all across the internet. Memes, as any alt-right Pepe sorcerer will tell you, are not just frivolous entertainment. They are magic, the stuff by which reality is made and manipulated. What's perhaps surprising is that this view is not so far off from one within the US defense establishment, where a growing body of research explores how memes can be used to win wars. This recent election proved that memes, some of which have been funded by politically motivated millionaires and foreign governments, can be potent weapons, but they pose a particular challenge to a superpower like the United States. Memes appear to function like the IEDs of information warfare. They are natural tools of an insurgency; great for blowing things up, but likely to sabotage the desired effects when handled by the larger actor in an asymmetric conflict. Just think back to the NYPD's hashtag boondoggle for an example of how quickly things can go wrong when big institutions try to control messaging on the internet. That doesn't mean research should be abandoned or memes disposed of altogether, but as the NYPD case and other examples show, the establishment isn't really built for meme warfare. To understand this issue, we first have to define what a meme is because that is a subject of some controversy and confusion in its own right. We tend to think of memes from their popular use on the internet as iterative single panel illustrations with catchy tag lines, Pepe and Lolcats being two well known known examples of that type. But in its scientific and military usage a meme refers to something far broader. In his 2006 essay Evolutionary Psychology, Memes and the Origin of War, the American transhumanist writer Keith Henson defined memes as "replicating information patterns: ways to do things, learned elements of culture, beliefs or ideas." Memetics, the study of meme theory and application, is a kind of grab bag of concepts and disciplines. It's part biology and neuroscience, part evolutionary psychology, part old fashioned propaganda, and part marketing campaign driven by the same thinking that goes into figuring out what makes a banner ad clickable. Though memetics currently exists somewhere between science, science fiction, and social science, some enthusiasts present it as a kind of hidden code that can be used to reprogram not only individual behaviors but entire societies. Meme wars seem to favor insurgencies because, by their nature, they weaken monopolies on narrative and empower challenges to centralized authority. A government could use memes to increase disorder within a system, but if the goal is to increase stability, it's the wrong tool for the job. We've just witnessed a successful meme insurgency in America. Donald Trump's campaign was founded as an oppositional movement—against the Republican establishment, Democrats, the media, and "political correctness." It used memes successfully precisely because, as an opposition, it benefited by increasing disorder. Every meme about "Sick Hillary," "cucks," or "draining the swamp" chipped away at the wall built around institutional authority. 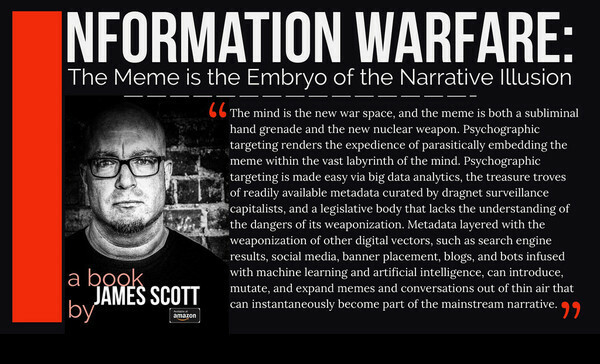 Trump's win shocked the world, but if we all read alt-right power broker Jeff Giesea's paper about memetic warfare in 2015, we might have seen it coming. "For many of us in the social media world, it seems obvious that more aggressive communication tactics and broader warfare through trolling and memes is a necessary, inexpensive, and easy way to help destroy the appeal and morale of our common enemies," he said. 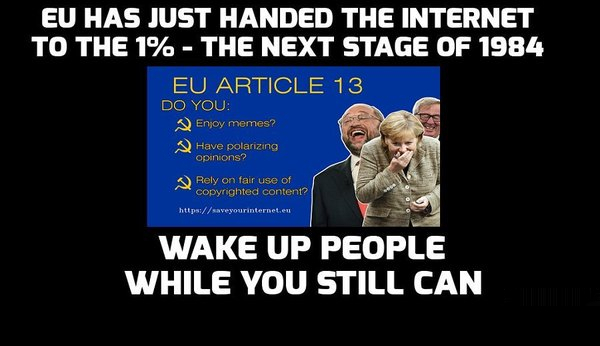 So with the globalists in the EU banning memes via Article 13 (though they'd argue otherwise, we know their true intentions) and President Trump supporters all across America having used memes successfully against Hillary Clinton and the establishment in 2016, as Steve Quayle had warned in the previously mentioned SQnote while linking to this RT story about the EU passing Article 13, "everything they think, do and say robs you of your freedom in a very nefarious way...Enter anti-Christ appearance stage right".